An easy-to-follow guide full of hands-on examples on real-world networking tasks. 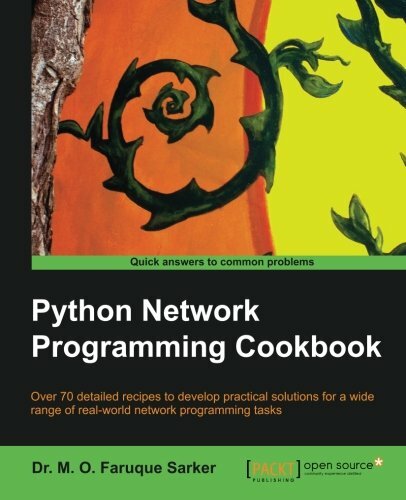 It covers the advanced topics of network programming in Python using a set of selected recipes. If you are a network programmer, system/network administrator, or a web application developer, this book is ideal for you. You should have a basic familiarity with the Python programming language and TCP/IP networking concepts. However if you are a novice, you will develop an understanding of the concepts as you progress with this book. This book will serve as a supplementary material for developing hands-on skills in any academic course on network programming.